If you've driven around downtown Erie, chances are you've experienced a detour or two. 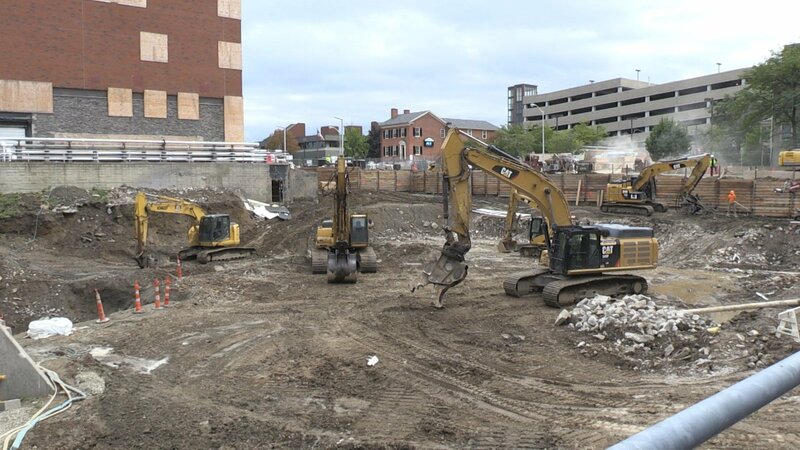 Especially when two hospitals around downtown Erie, Saint Vincent hospital and UPMC Hamot have several multi-million dollar construction projects in the works. If you&apos;ve driven around downtown Erie, chances are you&apos;ve experienced a detour or two. Especially when two hospitals around downtown Erie, Saint Vincent hospital and UPMC Hamot have several multi-million dollar construction projects in the works. Construction is well underway for Saint Vincent’s new Cancer Institute which will be located at the corner of 25th and Myrtle Street. This week, there&apos;s an opportunity for patients and staff to leave their mark on the building before it’s completed. People can sign one of the construction beams for the building, which is currently located inside Saint Vincent’s main lobby. Until 2 p.m. today people can write their name and a message remembering a loved one. The beam will then be placed near the highest point of the building next week. Saint Vincent is also working on other renovation and construction projects, all part of Highmark&apos;s Allegheny Health Network. Including a multi-million dollar emergency department, near 23rd and Myrtle, and a state-of-the-art operating room suite located above the emergency room. Over at UPMC Hamot, crews are in the final stages of cleaning up from the pro building being demolished. Hospital officials say many of the material from that demolition were recycled. 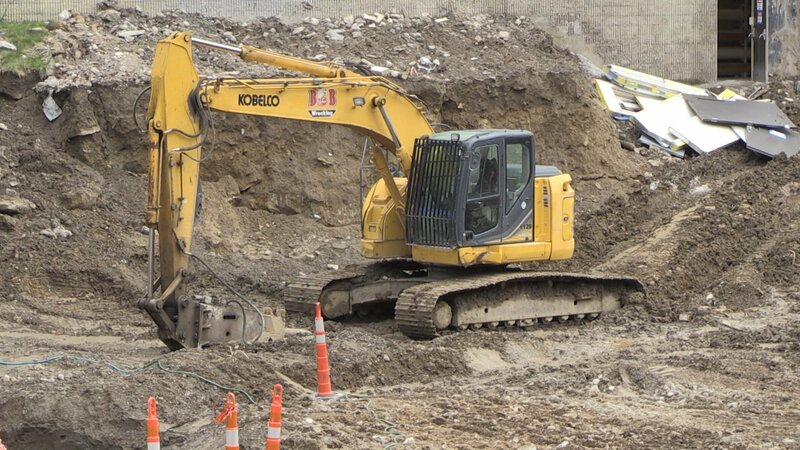 Right now the site looks like a giant pit, and that’s making way for the hospital&apos;s new patient care tower. The hospital will break ground on the $111 million dollar project the first week of October. UPMC Hamot officials say all these improvements will provide a better experience for its patients. The seven-story patient tower is expected to be completed in 2020.